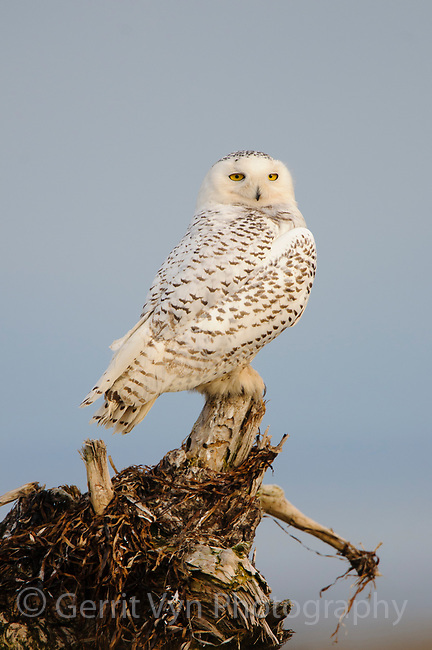 Snowy Owl (Bubo scandiacus) during the 2011/2012 winter irruption. Boundary Bay, Canada. March.